It happens to every car. What once was a beautiful auto glistening in the sun is now a rusty, abandoned, or totaled junk car. And what used to be your pride and joy is now a liability. Long gone are the days of getting use out of that jalopy, and gone are the opportunities of trading it in for something new. When you find yourself with a clunker of a car on your hands, your options for getting any money back may be limited but not lost. For junker cars beyond repair or replacement, the best option is to sell your junk car to Cash For Cars Northwest. At Cash for Cars Northwest, we pride ourselves not only on our fast, easy, and local junk car removal service. We go the extra mile by guaranteeing a streamlined towing service to get your junk car off of your hands. The best part (besides getting the junker off your hands) is doing so without having to post ads, get your hands dirty, or spend more money on the car’s repairs than what it’s actually worth. And often times, a response on craigslist or the classifieds could take longer than the nature to fully reclaim your car. Instead, consider the reasons why calling a service like Cash For Cars Northwest is the profitable solution for you. 1. Junk Cars Are Eyesores. We’ve all seen the neighborhood junk car hiding under a tarp on the driveway, or just sitting in a yard, with weeds growing out of the steering wheel. Do the owners expect it to bio-degrade into dust? What happens to rusty old junkers over the years when they stay parked in a driveway or parked on the curb with all four tires flat, a boot, and fifty tickets under the windshield wipers? Without a removal service, you can bet the car will stay there for years. There are plenty of reasons why two metric tons of garbage might be unsightly for your home. Neighbors especially can’t stand the sight of one, since an old clunker stands out and reflects badly on the entire neighborhood’s appearance. Junkers only lower the desirability of other houses within the vicinity of it. 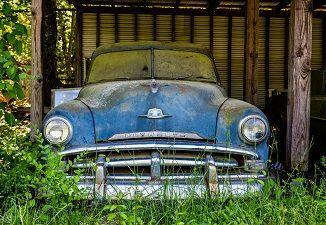 The fact is, all a junk car is good for is lowering curb appeal of your home. It’s much more worth it to get it towed to a junk yard while getting a bundle of cash out of a useless vehicle. 2. Junk cars can be a dangerous nuisance. Junk cars, with their rusted edges, corrosive chemicals, loose parts, and breakable glass, can be a nuisance at best and a bio-hazard at worst. Abandoned cars especially pose a danger to curious neighborhood kids. They can also shelter dangerous animals, or leak toxic chemicals onto your property or the roadside. So instead of hoping your junk car will disappear or no one will notice it under a tarp, call a removal service like Cash for Cars Northwest. Removing a junk car once and for all is the best decision you can make for you home’s reputation among neighbors, not to mention curb appeal. Plus, you’ll make some money doing it. If money is tight and you’re looking to sell something to make ends meet, look no further than the rusted vehicle taking up space on your property. You could be sitting on lump sum of cash and not know it. The price of steel hovers around $150 per ton. A two ton vehicle could fetch as much as $300. Not to mention other reusable parts, like engines, transmissions, gears, filters, even motor oil. 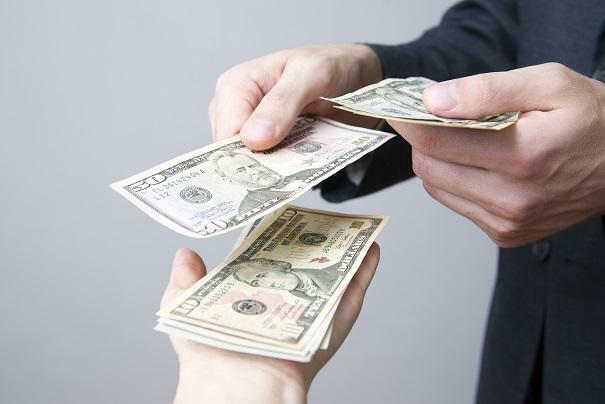 Our service specializes in converting your junk car into cold hard cash. Without the need for pink slips or proof of ownership, Cars For Cash Northwest can come out within 1 to 2 hours of a call or inquiry. After calling us, we’ll give you an estimate over the phone. Then we’ll arrive with the DMV paperwork and cash on the spot. 4. Selling online or in the classifieds takes too long. Taking out ads in the paper can cost more than what your car is actually worth. On the other hand, placing an ad in Craigslist might expose you to scammers, fraudsters, or other untrustworthy types who thrive on naive Craigslisters. Why spend the time and money placing an ad for your junker, when you know that it’s beyond repair, and no one will be getting any use out of it? The fact that a response alone could take weeks to finally sell a clunker car online is enough of a reason to call Cash for Cars Northwest. The process of only a couple hours to sign over your car and hand you the cash not only worth your time, but worth our time as well. Plus, no more having to look at your rusty old lemon again! 5. Junk car removal is better for the environment. The carbon footprint of a junk car is enormous. An upgrade to a more fuel efficient car is not only the most cost-effective solution, but also the most environmentally friendly. And according to one study published in IOP Science, up to 4.4 million metric tons of CO2-equivalent emissions were prevented as part of the Cash For Clunkers program. Plus, Cash for Cars Northwest abides by strict regulations around ethical and environmentally responsible junking. There are three choices you can make. One is to keep your junk car until it disintegrates before your very eyes. Two is to try selling it to a willing party–good luck. Three–the easiest way–is to call us. We will scrap your lemon of a car for what it is worth, and give you the piece of mind that you will never have to see it again! Our service works quickly and reliably to give you a no-pressure quote over the phone. Scammers especially thrive on online ads for car sales. The benefit of going with a legitimate junk car removal business is not only the reputation, but meeting one of Cash for Cars’ team members face to face to safely dispose of your junker.